Welcome to SCAN-TRUCK. 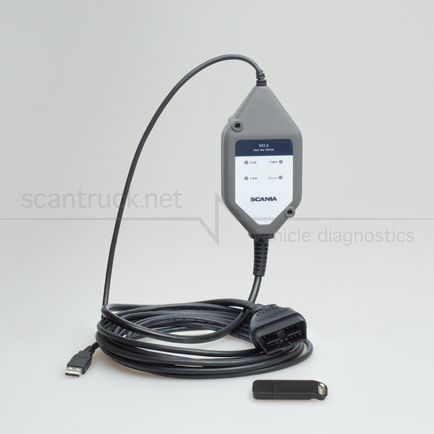 We are a professional manufacturer and supplier of computer diagnostics scan tools for European, Asian, American trucks, commercial vehicles, as well as a variety of electronic components for automotive vehicles. Best price and discount for everybody! Star Diagnosis SD Connect 4 performs diagnostic of all vehicles Daimler Benz — passenger Mercedes Benz, cargo Mercedes Benz, bus Setra, Cobus, Mitsubishi FUSO, and a new brand of Indian trucks BHARAT BENZ. 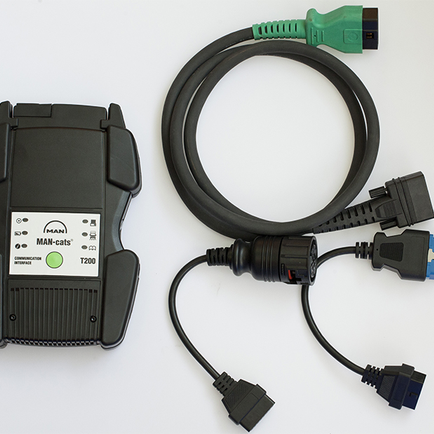 Star Diagnosis SD connect 4 provides absolutely full support for automobiles and trucks of all years of manufacture with the onboard 24 V and 12 volts. 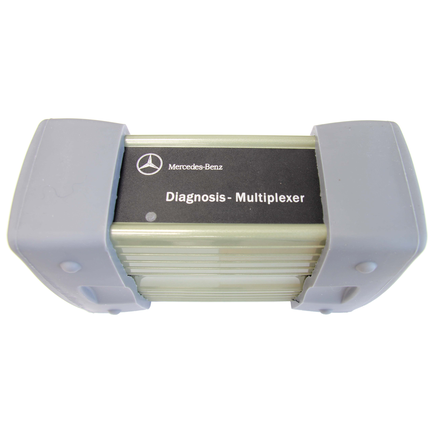 In addition, since July 2011 SD connect 4 is the only diagnostic adapter to diagnose all vehicles MB. Embedded software SDnetAssist- allows you conveniently and quickly to configure the SD connect 4 to your aims and objectives. If you have multiple scanners, Star Diagnosis SD connect 4, gives you the possibility to connect them into a unified network and manage the particular scanner Star Diagnosis SD Connect 4, with the help of the program SDnetControl. 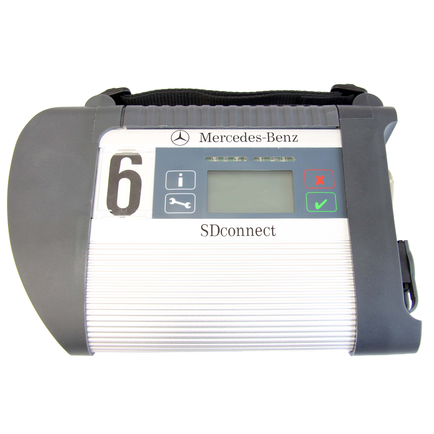 Star Diagnosis CANtool — is the latest diagnostic system via CAN bus, on Mercedes Benz vehicles, with which works the new Auto scanner Star Diagnosis SD connect 4. This system will allow you to physically view all settings through CAN bus on these cars (169/245, 164 / 251, 171, 211 / 219.171, 203/209, 220/215, 230, 221/216, 240). Integrated system diagnosis of the power supply system of the vehicle, search for the causes of discharging the battery. Star Diagnosis is the professional diagnostic equipment for Mercedes Benz cars manufactured after year 2000. The device operates based on the Windows XP system, it includes Workshops Information System (WIS system), the movement management system (STARUTILITIES) and the automatically diagnose system (DAS-Diagnosis Assistance System). Applicable to all types of commercial vehicles MAN, released after 2001. MAN CATS T200, as well as many modern Auto-Scanners works through a wireless connection, which simplifies the self-test process. Works together with the program man cats. Condition monitoring and service functions. Using complex diagnostic SCANIA VCI 2 you are able to perform all of the operations the official Scania dealer is able to perform – detecting and erasing errors, change parameters of the systems, perform calibrations, the possibility to make configuration changes affecting the operation of electrical systems, and also to update the control units program. ATA, WTA, CTS and AUS — Auxiliary heater system, Clock timer system, Radio. Supported languages ​​SCANIA VCI 2: German, English, Spanish, Japanese, Dutch, French, Polish, Portuguese, Norwegian, Swedish, Turkish, Finnish, Italian, Chinese, Russian, Czech. Complex diagnostic SCANIA VCI 1 is used for services of trucks and buses SCANIA 4 and 3 series as well as marine engines SCANIA. 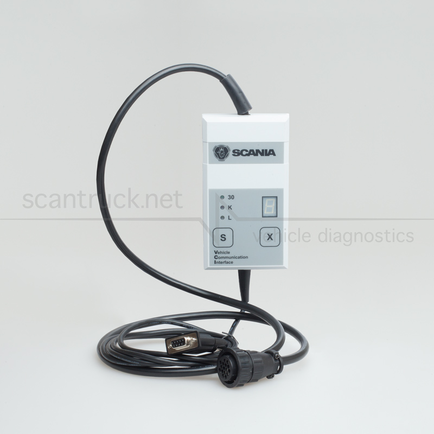 SCANIA VCI 1 adapter is designed to work with the software SDP2 (Scania Diagnos) and Scania SP2 (Scania Programmer). With the help of complex diagnostic SCANIA VCI 1 You can do all the operations the authorized dealer SCANIA is able to do. Scanner vci 1 works through a COM port. 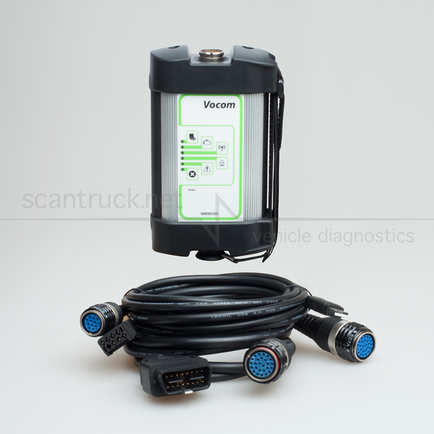 Scania vci 3 is the latest diagnostic system adapter for Scania trucks which replaced the previous generation adapter Scania vci 2. The new adapter holds the Wi-Fi functionality for easy operation. 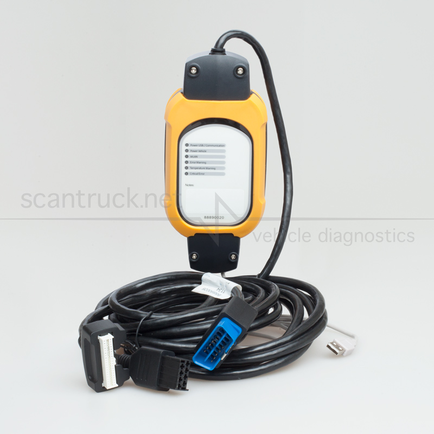 Diagnostic Interface for Volvo trucks – 88890020 (Provided with protective case — 88890180), designed for diagnosis, programming and setting parameters of all trucks, buses and construction machinery brand Volvo. Equipped with Wi-Fi unit for convenient operation. 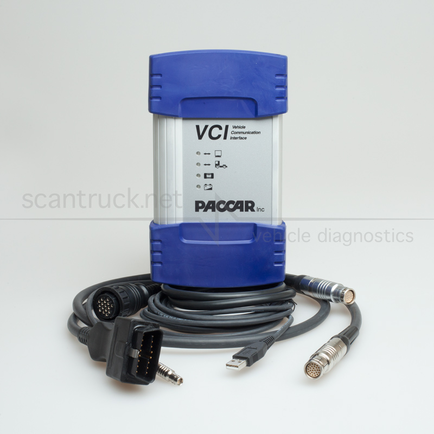 This diagnostic interface replaces the previous the diagnostic adapter Volvo — 9998555 (Volvo Vcads), which worked through COM port. The adapter 88890020 works with programs Navigator, PTT 1.12, PTT 2 and later programs. Emulator AdBlue v3 is an advanced version of the previous generation of emulators v2. 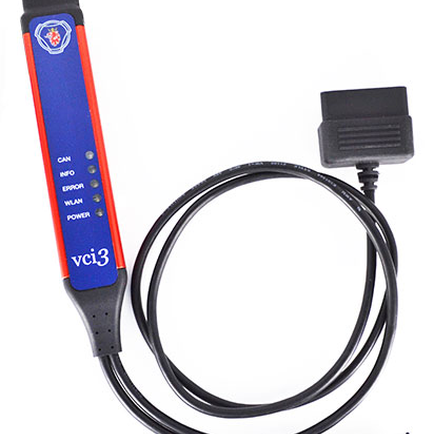 The main difference from the emulator Adblue 3 — is the possibility to be installed on a faulty SCR system. This Adblue emulator is designed to be used on trucks VOLVO, RENAULT, MAN, DAF, IVECO, SCANIA, MERCEDES, FORD cargo. V2- emulator device with which you can switch off the SCR system. This emulator can only be installed on a working SCR system. 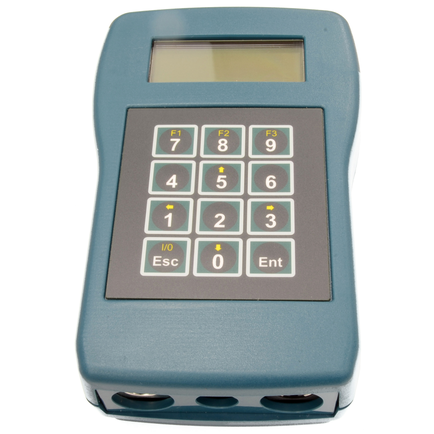 The Tachograph programmer CD400 calibrates and programs all analogue and digital tachographs. Supports IMS (Independent Motion Signal / Second speed signal) parameters on DTCO 2.0, SE5000 Exakt Duo and EFAS-4. Supports ‘VDO counter’ parameter on DTCO 2.0. 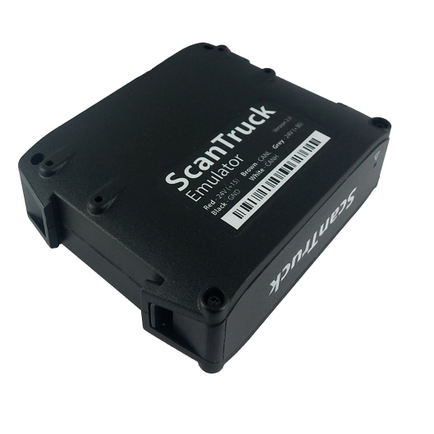 The device allows you to define the W figure determination on measuring track or rolling road, K figure measure, can be used as speed simulator for the tachograph when checking the speedometer and odometer. The navigational terminal receives information about its location coordinates, current time, speed and movement direction from global positioning system satellites — GPS and GLONASS. If access to satellites is absent (above-ground parkings, ferroconcrete ceilings and other disturbances) the location is determined using the nearest GSM stations. Data gathered from satellites and readings received from connected sensors are transferred to the dedicated server through the GSM network. Using a comfortable web-interface, the system user can monitor location and state of equipment operation parameters using a PC, laptop, mobile phone or data tablet from any place in the world. Two 1-Wire protocols allow installation of i-button and temperature sensors. 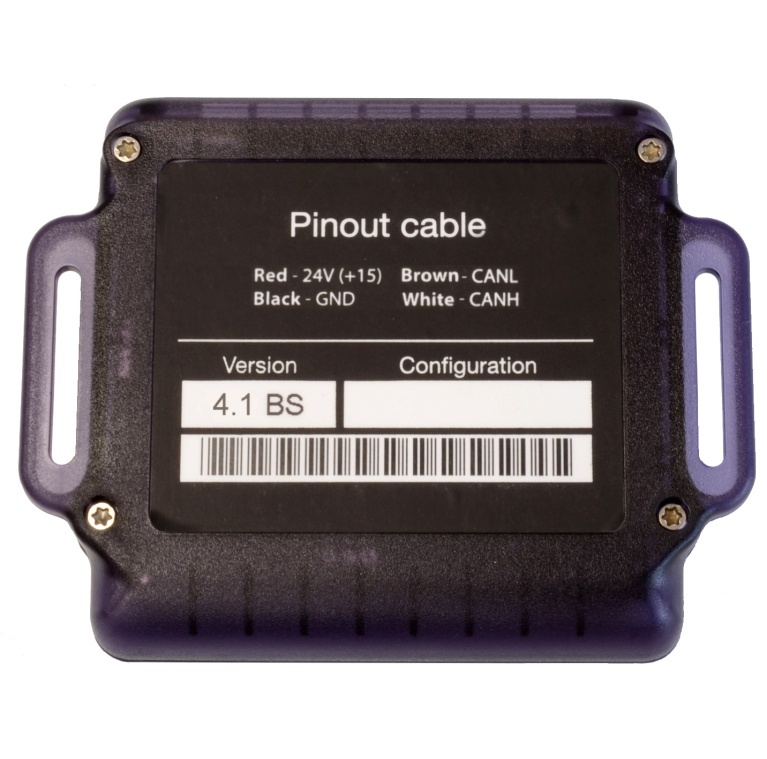 Two RS-485 allow to install different sensors, indicators and additional devices. In case of absence of the network, all information received by the terminal is recorded to high volume built-in memory (512 Mb). This volume is sufficient for storing 10 million records. In case of cellular communication cut-offs, zero balance of SIM-cards, failures in the operation of data gathering servers navigational terminal iON Pro can store big volumes of information. Data may be transferred to the server during connection reactivation, in case of connection to the PC or through the USB-memory (flash memory). In the course of information unloading to flash memory the protection system with a built-in key is used. There is a unique mechanism of data transfer realized in iON Pro, all the information is transferred to the server by two independent data bursts. The navigational terminal is highly reliable and fault resistible. There are two slots for SIM-cards that help reduce traffic costs and prevent disconnections. The device is protected against extraneous intervention— all plugs intended for connection of wires, antennae, SIM-cards are concealed under the cover. When the body is opened, the terminal gives a signal to the server. The fact of opening is displayed in the dispatcher program in the form of a message. iON Pro — is an exclusive navigational terminal which is equipped with external and internal GPS- and GSM-antennae and a function of automatic switching between them. Thus if the external antenna is failed, the terminal starts to work automatically. iON Pro has a possibility of remote update of the terminal F/W. iON Pro is equipped with built-in lithium-polymeric rechargeable battery (Li-Pol) with high capacity —1900 mA/h. It provides the terminal with a possibility to function uninterruptedly for a long period in case of absence of external power supply. The navigation terminal also has three energy saving modes. Notification of dispatcher on «alarm events» (interruption of power supply, bringing outside aerials out of operation, unsanctioned decapsulation, exceeding of speed mode and etc.). Possibility of SMS and e-mail notification. 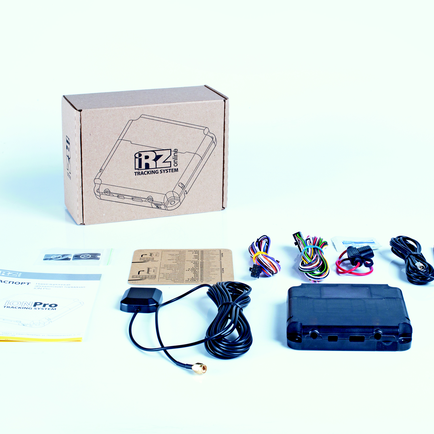 All IRZ equipment has an open protocol and can be integrated into different monitoring systems.